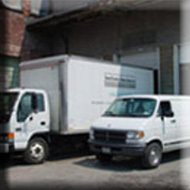 Delaware Distributors, Inc. was originally established in 1982 to provide businesses in the Buffalo, NY area with high quality new and used office furniture. The company was founded on the principle of Affordable Quality - providing outstanding value with high quality products and expert services at affordable prices. 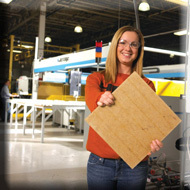 As an early adopter of the Re-use / Recycle / Refurbish concept, Delaware Distributors gained a well-earned reputation for providing Affordable Quality Office Furniture. Following a series of expansions, the company was renamed Buffalo Business Interiors, Inc. in the early 1990’s. BBI Office Furniture Sales Staff offer You a combined experience and expertise of over 100 years in providing New Office Furniture, Refurbished Office Furniture and Used Office Furniture, as well as a range of Office Furniture Services to businesses in Western New York. BBI Office Furniture Refurbishing Experts have the know-how and equipment to refurbish / remanufacture Your Office Furniture to OEM Specifications with exact color / fabric matching capability, or with an unlimited range of custom colors and 100’s of custom fabrics. BBI Expertly Refurbished / Remanufactured Office Furniture looks, feels and even smells just like new office furniture. Apart from the obvious cost difference, we challenge You to tell us the difference between BBI Refurbished Office Furniture and the manufacturers new piece. Whether You choose New Office Furniture, Refurbished Office Furniture, Or Lightly Used Office Furniture, BBI can deliver it, assemble it and correctly install it in Your office - anywhere in Western New York! You expect great prices, but BBI goes beyond the scope of other office furniture suppliers by offering You the best possible customer service experience. We stand fully behind every one of our products with exceptional post-sales support. If you ever have a problem just call BBI at 716.876.6800 for fast, efficient, expert professional service.